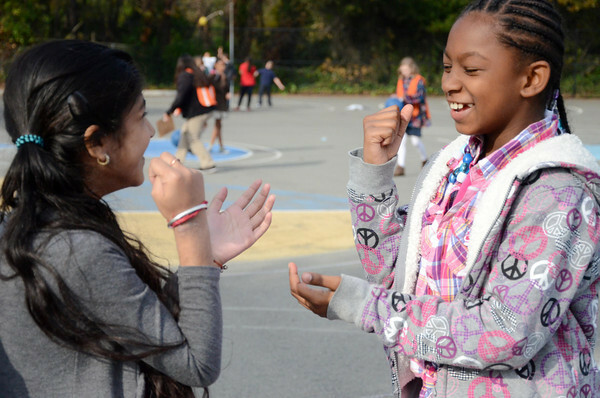 Two students enjoying a game of rock, paper, scissors on the playground. Schools are shifting their focus to improving students’ social skills and the long-term impact may surprise you. David Borstein, a journalist and author perhaps best known for his writings on social innovations, recently published an op-ed in the New York Times on the growing importance of social-emotional learning in schools and its life-long benefits. Titled “Teaching Social Skills to Improve Grades and Lives,” Bornstein explains the shift many educators and their school districts are making to focus on improving social and emotional skills of young kids. The piece reports several findings that prove schools that added techniques such as teaching students how to better communicate into their curriculum saw a dramatic improvement in student behavior inside and outside of the classroom. Contrary to what many of us grew up learning, the findings suggest that recess and class time are not exclusive from one another. When a kid has a positive interaction on the playground and feels more liked by their peers, they are more likely to cooperate with them in the classroom, leading to better classroom performance. One of the most recent studies to support these findings was conducted by researchers from Pennsylvania State University and Duke who took a close look into the long-term impacts of social-emotional learning on a group of students who had social-emotional learning integrated into their kindergarten curriculum. The study found students who were in kindergarten classes that incorporated lessons on self-management and social awareness were four times more likely to graduate from college and get along with their peers well beyond their school years. 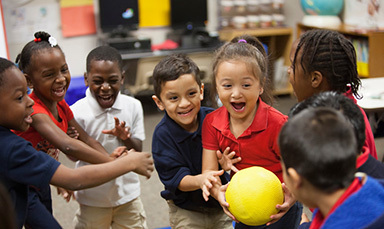 Playworks understands the importance of social-emotional learning. Like Bornstein, we too think that the key to success is not solely getting good grades, but rather teaching kids how to communicate and cooperate with others at a young age. As of today, we have served 900 schools in 23 cities, working with educators to help make recess a fun and safe place for all. And we don’t plan on stopping there. 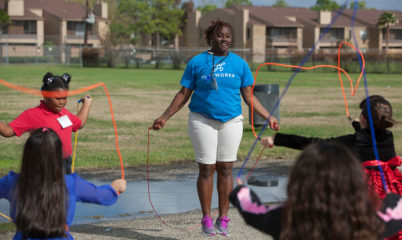 Learn more about Playworks and our mission.